2016 Conference Sessions for Tuesday April 12th. Assembling Cut-Up Stories … More than Just A Puzzle! Why is the cut-up story part of the lesson activities? How does the teacher benefit from observing the child reassembling the story? How does the child benefit from reassembling his story? This interactive session will examine the power behind Assembling Cut-Up Stories in Reading Recovery lessons and in the classroom. We will explore examples of ways to use this activity in Kindergarten and in grade 1 classrooms. When composing, Clay instructs us to, ‘Start up a conversation, guided by all you know about this child. Talk about something that you feel sure he would be interested in.’ In this session, we will examine ways to help all students create authentic, meaningful and exciting stories that build upon their interests, creativity and passions. Fiona and Dee Dee are Reading Recovery Teacher Leaders in the York Region District School Board. I’m an Author and I Have Goals! Writing begins in the mind. Our young students have many ideas and stories to share but the logistics of recording them on paper can be almost overwhelming – pencil grip, spelling, letter formation, illustrations, punctuation…How do we help young writers move forward, take risks, and meet achievable goals while still enjoying writing? This workshop will help you explore ways to have classroom wide learning goals and success criteria for writing that also allow for manageable, differentiated personal goals for each child. We will consider group and individual goals, ways to document and celebrate learning for you and for the children, and structures that ensure the children see themselves as capable writers from the very start. Kathleen Corrigan is a former Reading Recovery Teacher Leader and Early Years Consultant with a public board. She is currently working as a consultant for several independent schools as well as writing children’s books and teachers’ resources for local and international publishers. CCRSB Early Literacy Support recognizes the importance of a strong partnership between Early Literacy Support Teachers, Reading Recovery Teachers, Classroom Teachers, Program Support Teachers, School Administration, parents and other professionals as required. Our session will focus on sharing effective strategies to support and enable these partnerships. Emily Fahey is the Coordinator of Literacy and Programs with Chignecto Central Regional School Board. Myrna Noddin-Bona is a Reading Recovery Teacher Leader and Early Literacy Consultant with the Chignecto Central Regional School Board in Nova Scotia. Although on first glance it might look like just a fun puzzle activity, assembling the cut-up story provides serious learning potential for young learners. In every lesson, children benefit from this unique message constructing opportunity as they practice orchestrating strategic action on familiar material, their own story. Learn how this brief procedure can reveal a wealth of information about strategic processing and provide unique learning opportunities within the lesson. Video clips will be shared, and attendee participation is highly encouraged in this interactive session. Betsy Kaye is a Reading Recovery trainer and Assistant Professor at Texas Woman’s University. She has been involved with Reading Recovery for more than 25 years. Early in her career, she also taught special education and fifth grade. Betsy has published several articles about Reading Recovery teaching, early intervention, and assessment and frequently shares her expertise at literacy conferences in the US and Canada. Betsy enjoys working with international colleagues and RRCNA on projects that support teachers’ professional learning, and she currently serves as editor of the Teaching section of the Journal of Reading Recovery. Careful observations are needed when assessing children who struggle learning to read. To get more information than just a number or letter level, we need to look with an eye and ear toward in-the-head strategies. Work with Pat Johnson to learn to analyze running records and other assessments better. How can you tell if a child can self-monitor, predict, search and gather useful information, make multiple attempts at solving words, maintain fluency, and so on? And how do you use the information you discover to plan your instruction? Pat Johnson has supported both students and teachers as an elementary reading teacher for 30 years. Most of her career has been in schools with diverse populations in Fairfax County, Virginia. She is a Reading Recovery trained teacher and was also an adjunct faculty member for George Mason University. Presently, as a literacy consultant, Pat provides staff development for various school districts across the U. S. and Canada. She is the author of One Child at a Time: Making the Most of Your Time with Struggling Readers and co-author of Catching Readers Before They Fall, both books from Stenhouse. Reading Recovery is an effective early intervention for the lowest achieving grade one literacy learners. Research studies conducted in various countries over that past thirty years have demonstrated the effectiveness of Reading Recovery. In this session, selected studies will be reviewed that demonstrate that Reading Recovery is effective for students in a variety of contexts. 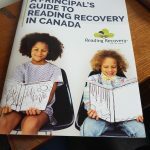 Dr. Irene Huggins, President of the Canadian Institute of Reading Recovery, became a Reading Recovery Trainer in 1995 and worked at the CIRR Western Division in Manitoba. 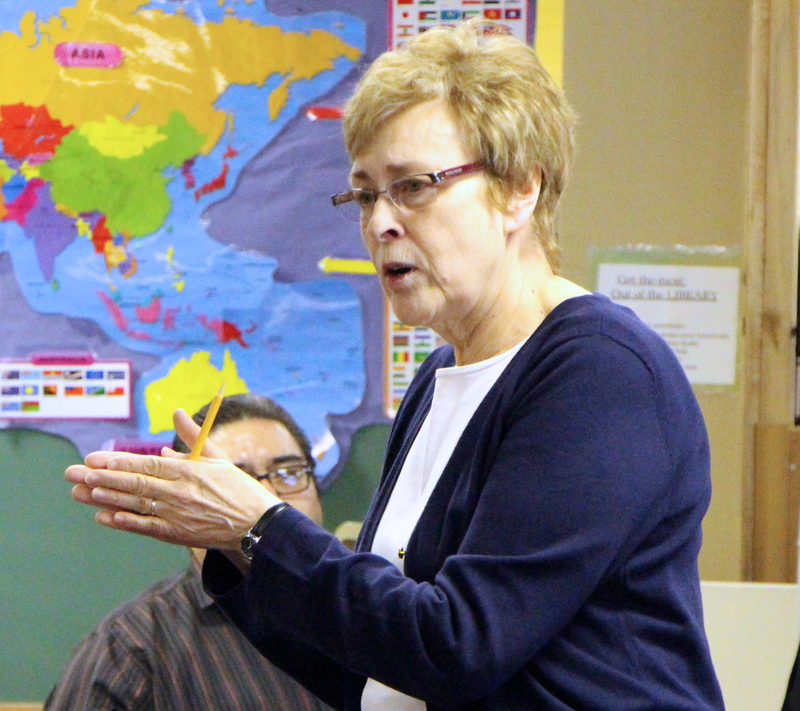 She worked for several as a Literacy Specialist with the Manitoba First Nations Education Resource Centre. The classroom teacher and the Reading Recovery teacher together hold joint responsibility for providing poorer performers with effective opportunities to learn (Clay, 1991). Join with us on our journey as we share what we have discovered about the importance of an ongoing conversation between classroom and Reading Recovery teachers during the lesson series. Throughout this collaborative working session we will discuss what worked, challenges faced and ideas tried, in order to foster improved conversation. We will continue learning by discussing audience experiences which will prove to be a beneficial learning for all. Can spending more than a few weeks in patterned text lead to more learned confusions than benefits? Evidence suggests that this is indeed the case. Many students who are selected for Reading Recovery know little about stories or storytelling. Early in the lesson series we need to give students the opportunity to hear and read books with a storyline. We will not accomplish this by spending more time on item knowledge. In this session you will have an opportunity to explore the benefits of getting students out of pattern text and into stories sooner rather than later. Lori Kelly and Daun Newman are Reading Recovery Teacher Leaders with rich backgrounds in the primary classroom, who are passionate about literacy learning and teaching. Lori is from the Cariboo-Chilcotin region in central British Columbia and Daun is from the Peace River region in northern British Columbia.